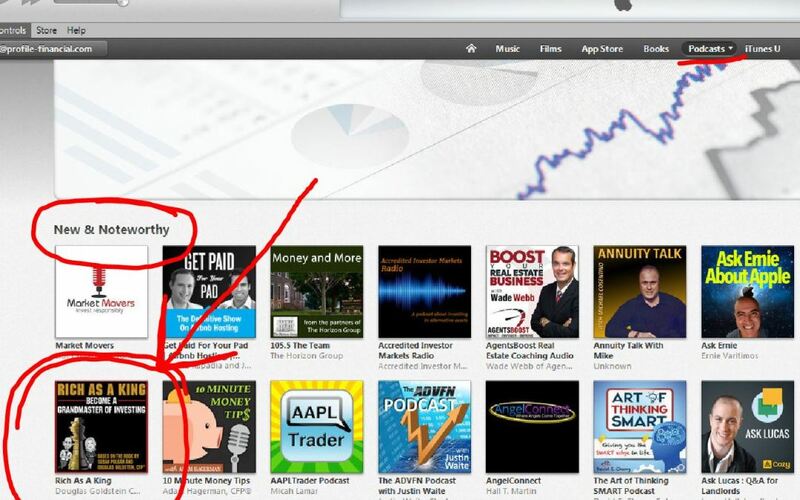 How do you get a podcast to reach the coveted title of being on the New & Noteworthy list? We were told to have high quality content, publish often, and get subscribers and reviews. We’ve tried to do all of those to make sure that our listeners get only the greatest investment strategies and tactics, and that they hear fantastic interviews on the podcast. So thank you to everyone who helped us earn the recognition. We really need your support to stay top on the charts. Could you please subscribe to the Rich As A King Podcast and give it a rating (we hope you’ll love it and give it 5 stars)? Please also subscribe to the show.